Today ONLY - you'll get a 1 Year Subscription to Disney Princess Magazine for $13.99 with code CITYMOMMY at checkout. 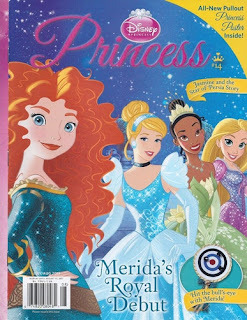 Disney Princess magazine is the perfect magazine for any little girl! Your daughter will love reading stories, playing games, and making crafts that are all related to her favorite princesses. She will get hours of entertainment from each publication and you will enjoy watching her have so much fun!